A Black Emperor Anax tristis was mapped by Lance Robinson on 07 November 2018 at Sediba Game Lodge near Brits (2527BC). 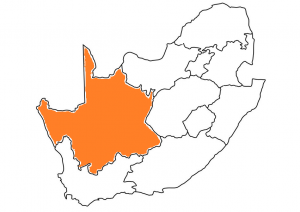 It is the first ever record for the North West Province! 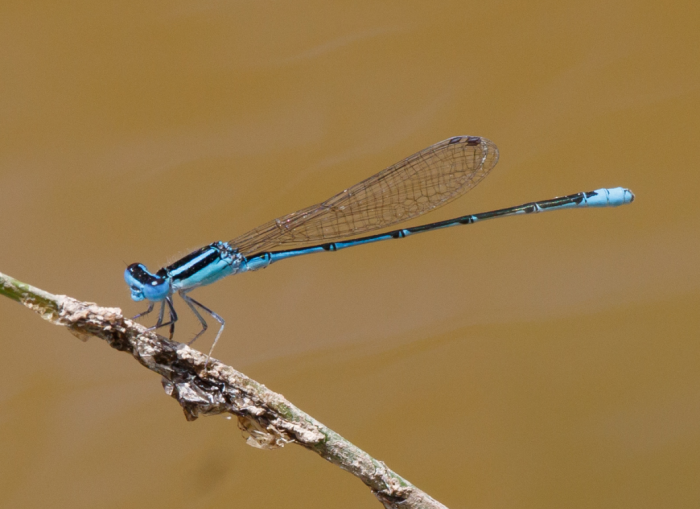 Dawie and Sarieta Kleynhans snapped and mapped a Sailing Bluet Azuragrion nigridorsum at Dikhololo Resort near Brits on 29 April 2018 VM. It was the second Virtual Museum record for the North West. OdonataMAP record 44494 of a Common Thorntail Ceratogomphus pictus was the fifth Virtual Museum record for the province. 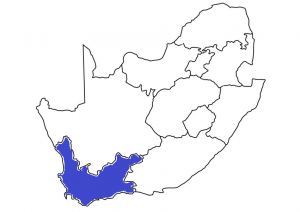 It was mapped by Jaco Botes on 28 January 2018. 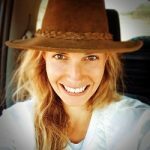 On the fourth of February 2018, Lance Robinson mapped a Horned Rockdweller Bradinopyga cornuta at Dikhololo near Brits. This was the third ever record for the North West! A Portia Widow Palpopleura portia OdonataMAPped by Graham Barr on 24April 2018 was the only record for the North West for the year. 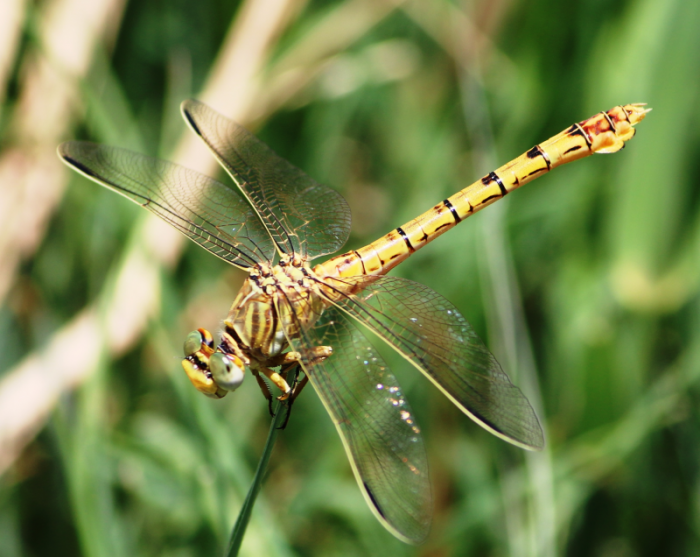 He photographed this awesome dragonfly near Groot Marico (2526CB). 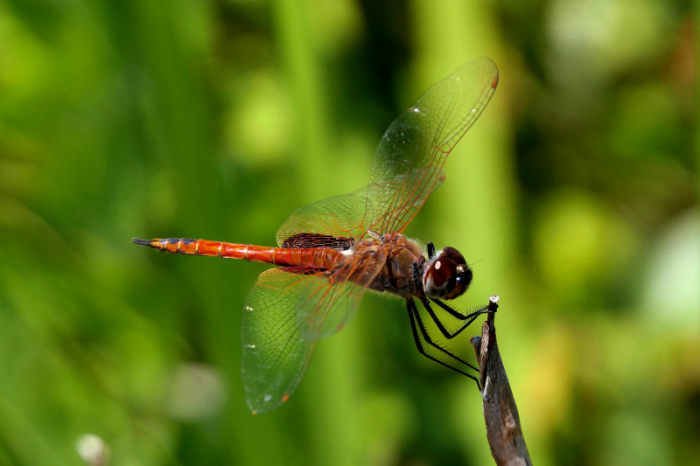 Jaco Botes recorded a Highland Dropwing Trithemis dorsalis, the fifth Virtual Museum record for the province, on 28 January 2018 at Boskopdam near Potchefstroom. OdonataMAP record 46171 of a Ringed Cascader Zygonyx torridus was the second ever record for the North West. Niall Perrins snapped and mapped it on 18 February 2018 in Borakalalo National Park. Niall Perrins OdonataMAPped a Clubbed Talontail Crenigomphus hartmanni, the first ever record for the province, on 19 February 2018 in Borakalalo National Park (2527BB). 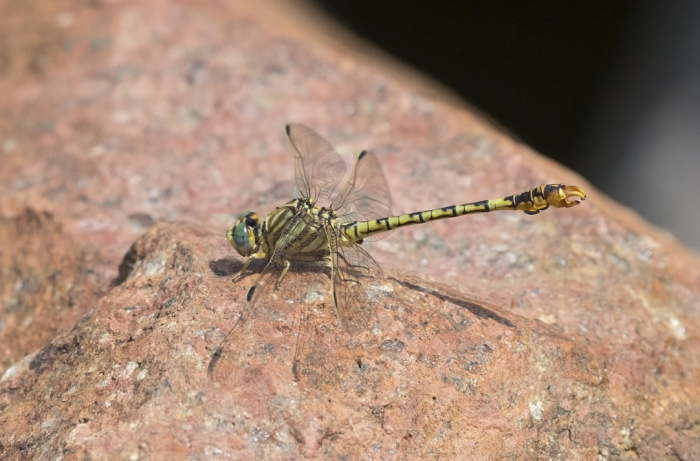 Altha recorded the third Northern Cape record of a Clubbed Talontail Crenigomphus hartmanni (photo below) on 04 January 2018. She OdonataMAPped it on the Vaal River near Douglas. A Phantom Flutterer Rhyothemis semihyalina was snapped and mapped on 04 January 2018 near Smitsdrif, this was the second record ever for the Northern Cape. Altha recorded a Red Basker Urothemis assignata on 26 December 2018 near Douglas (2923BB). 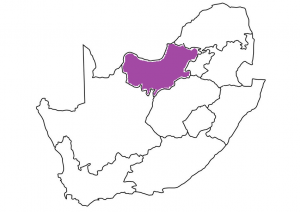 This was the second record ever for the Northern Cape, with the only other record mapped in Hartswater in December 2017 by Dawie and Sarieta Kleynhans. OdonataMAP record 62870 of a Blue Basker Urothemis edwardsii, was the third record for the Northern Cape, mapped on the banks of the Vaal River in Douglas on 26 December 2018. Altha also mapped a Ferruginous Glider Tramea limbata, the very first record for the province, on 04 January 2018 in the Smitsdrif district (2824CA). 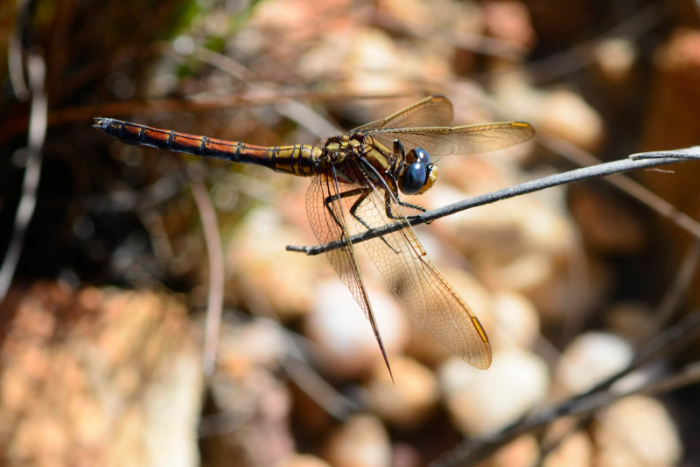 Andrew and Heather Hodgson recorded an Elusive Skimmer Orthetrum rubens in the Cederberg Wilderness Area near Citrusdal on 15 December 2018 (3219AC). It was the first Virtual Museum record and the first record since December 2015 for the Western Cape. 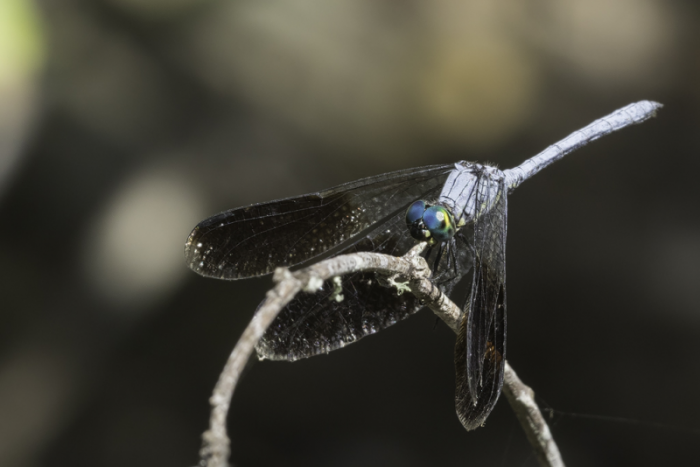 Jean Hirons mapped a Dancing Jewel Platycypha caligata, the second Virtual Museum record and the first record since 2011 for the Western Cape, on 12 March 2018 at the Keurbooms River near Kammanassie Nature Reserve (3323CC). OdonataMAP record 46263 of a Mahogany Presba Syncordulia venator was mapped by Andre Marais on 22 February 2018 at Jubilee Creek in Knysna (3322DD). It was the only record for the year for the Western Cape. Amanda Walden snapped and mapped a Darting Cruiser Phyllomacromia picta in the Saasveld Forest near George on 20 December 2018. It was the third record for the province and the first record since 2009! OdonataMAP record 48386 of a Black-splashed Elf Tetrathemis polleni was the first Virtual Museum record and the second ever record for the Western Cape. Jean Hirons recorded it on 01 April 2018 at the Hoogekraal River crossing in Sedgefield (3322DD). Jean Hirons mapped a Red Basker Urothemis assignata on 06 February 2018, the first Virtual Museum record for the province, at the Karatara River crossing near Sedgefield (3322DD). A Cherry-eye Sprite Pseudagrion sublacteum recorded by Pieter Le Grange on 04 May 2018 was the first ever record for the Western Cape! He mapped it in Nature’s Valley (3323DC). M. chapini from Cote d’Ivoire, Democratic Republic of Congo and Gabon. The exuviae that Gerhard found is most likely that of M. dissimilis or it might even be a species new to science! Credit for information on Mastigogomphus: Dijkstra, K.-D.B (editor). 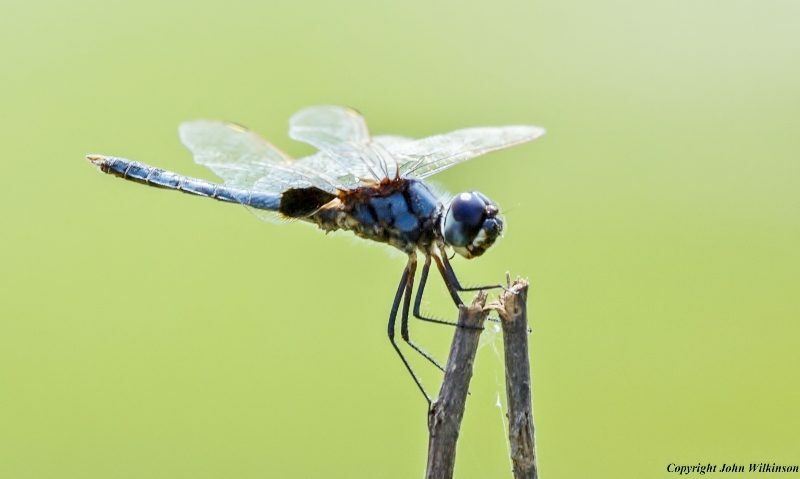 African Dragonflies and Damselflies Online. http://addo.adu.org.za/ [2019-01-20].